Pretty Ditty: Kona Cotton Fabric Giveaway! The giveaway is now closed. I will announce the winners tomorrow, May 12. A big thank you to everyone who participated. I think it's time I have another giveaway. Being as I'm on this Kona cotton solid fabric kick, combined with a serious case of smocking-itis, why not give away some Kona cotton?! 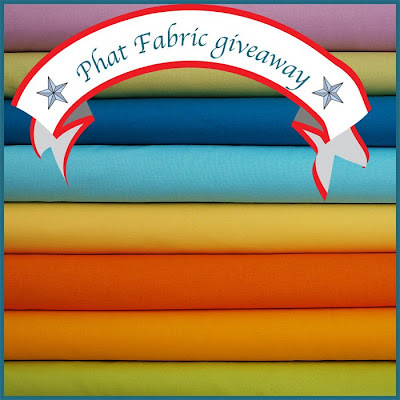 The giveaway is for 8 Fat Quarter cuts of the above Kona Cotton fabrics, or 2 yards of your favorite Kona Cotton fabric (link) from Phat Fabric. Your choice! I will choose 2 winners via the random number generator. The giveaway will close on Monday, May 11, and I will announce the winners on Tuesday, May 12. Go to Phat Fabric and decide what your favorite Kona Cotton fabric color is (link to colors). Once you've decided, post a comment about your color decision. International fabric friends are welcome to enter. One entry per person. I believe that covers all the need to knows. I really wanted to ask you something like "who should be voted off of survivor next week?" However, I realize some of you don't watch survivor. But if you did, I'm sure it would probably be Coach, aka the Dragon Slayer. What color is the sky in his world?! Anyhoo, your favorite fabric color is all you need to leave in the comments section of this post. If you'd like, you can leave contact info such as: blog, email, or shop. Just be sure to tune in next Tuesday for the announcement of the winners. I'm going to have to say Cactus, but they are all scrumptious, especially when you look at the whole palette ... great choices!! I really like Robin Egg, but they are all so pretty! robin egg, for sure. but i do love the name school bus! They are all great colors but I really love the robin's egg. I definitely think coach needs to go and get back on his medication. Then Debbie needs to go, she is too much drama for me. I love this fabric, I've used the white and the black in other projects. The fabric is so crisp but yet still soft. i love 'cactus'! so pretty! I love "Robin Egg" the best...it's perfect for spring! It's gotta be Tomato. How can you not love a brilliant red? Robin's Egg is a close second. Thanks for offering a great give-a-way. Kona solids are addictive! school bus and cyan...and fancy that, they would both match my boys' quilts (WIPS) beautifully! Jamie, thank you for this wonderful giveaway and also opening this to international friends! Yipee! My favorites are lemon, robin egg, catus and tomato! We always seem to do giveaway almost at the same time. hehe If you have the time do drop by to see if you like to enter. :) Have a wonderful merry happy week ahead and love to you! I am totally in love with solids these days and would LOVE to have these fabrics! It's a really tough call on a favorite, but I think I'm going to have to say Papaya. They are all just so gorgeous! Well I saw three that I can't live without.. but will toss a coin... and the winner is...... CYAN. Love it! I really love all the colors. But if I had to pick a favorite today it would be lemon. What a great giveaway! I love using solids (in quilts mostly). Great giveaway! I'm totally into solids right now too (and smocking as well, actually!) I really like cactus, but I'm also liking the petunia - I'm not usually drawn to purple, but keep finding more of it that I like lately! I think I like petunia and cactus the best, although all of the colors are beautiful! Thanks the awesome giveaway. I'm really excited about you smocking tutorial, because it is somthing I've been wanting to try. to wear it would have to be 'cactus and 'robin egg' but for the quilting I am working on at the moment it would have to be 'cyan'. I really don't think I could just pick one, especially since they all have such great names. But I especially do like the lemon, robin egg, and papaya! I really love Tomato! I'd love to pair it with a pretty red gingham. It's a toss up between cyan and lemon for me. Your smocked dress was lovely, by the way. I am loving the Robin's Egg Blue. It's crisp and clean. Lemon! So bright and summer-y!! I love the cyan blue! I haven't done much with solids but I am excited about the prospects! I'm torn between Cactus and Tomato ... but I think my gut is insisting I go with Tomato - what a glorious colour! I am loving Cyan, Cactus and Black. Thanks for the chance to win sweet fabric. My favorite fabrics are always green, but I think I'd have to say, at least for today, that lemon is calling me. It's so sunny and summery and happy. I think cactus is fabulous!! Cactus all the way! oh but wait, there are lots of lovely colors. Thanks for a great giveaway, I've been into the solid cottons lately also. I like lemon because yellow is my favorite color, and that shade is so pretty! Cactus is my fave for sure, I'm a sucker for that shade of green, but all of them are so vibrant and awesome! I'm torn between robins egg and tomato. They are beautiful though, and so are your creations! Ooh, papaya and lemon are a tie. What great colors! oooo I like Petunia mucho mucho! It reminds me of the smell of lavender- it's a really inspiring and calming color. The fabric looks beautiful too (in texture) as all of your fabrics are! i cant decide between the cactus and the celery. prob cause they look so nice next to each other! Such a hard decision. I like cyan, but they all look so pretty together. I don't know what color the sky is in coach's world, but my son and I would love a papaya one! We love orange in my house. I'm always drawn to blue so I'd have to say Robin Egg! Jamie what a great giveaway! thank you very much! Wow, it's hard to pick one color but I really like Celery. Thanks for the great giveaway. I like the school bus colour. Would love to win! Such a tough decision....I'd be happy with any of them. I think I'll have to choose Robin's egg though, just to be decisive. Thanks for the giveaway! Cyan is lovely. I believe it is my favorite (followed closely by Petunia). Good luck everyone! You are gonna make me pick which one I like best? :) They are all so pretty, but Robin Egg is my fave. I am on a blue kick right now. I like putunia and cyan. thanks for the give away! All of the colors are wonderful but I think I like Petunia. Thanks for the giveaway! Coach definitely needs to go!!!! Its a tough call between tomato and cyan. But if forced to choose between them I'd pick tomato! ALL those COLORS is what I pick! LOVELY!! If I had to pick 1... it would be that beautiful purple... but I LOVE 'EM all!!! I'm always into the greens. Pear or grass please. All the colors are gorgeous, however if I had to pick one I would say it is Robin egg. My eye constantly wanders over to that color. Ooh, that's a hard choice...But I think my favorite is Petunia. Love the smocking tutorial! Thanks! Oh I think the Petunia is the prettiest! i'm mad at you for planting the smocking bug in my head. i feel the need to smock all fabric now. i had smocked in the past, but that celery dress did me in. so, celery is my favorite! My fave is cactus! I am really in to shades of green right now. I loved the smocking tutorial and can't wait to try it! Btw, I love your blog! Oh they are all beautiful, but I would have to say tomato. I am drawn to petunia, robin's egg and tomato. I am in the middle of a move to Alaska but once I am settled I cannot wait to try smocking something. Your tut made it look SO EASY! Thanks for the giveaway. dickinson_4(at)msn(dot)com. Oooh so hard to choose just one! I would have to say cyan with papya as a very close second! I like the celery - think it would go with a lot of my stash. I love all the kona cottons though. I like the Cyan, partly because my husband always says that's what his favorite color is and no one knows what color it is! Cyan!! And a second place winner for me is Cactus! The two together could make magic! I love the tomato/cactus combo. They are really fun and you've done amazing things with them! By the way, I've just spent about 45 minutes perusing all your back posts! Lovely blog! It is tomato, I think. Thanks for the opportunity, anyway! the papaya kona cotton is my fave! thanks for this amazing giveaway! In love with the School Bus! :-) Thank you for this giveaway! school bus and papaya make my mouth water - I love them! And thank you for your shirring tutorial - it was that that has brought me here, and I really hope to get over my irrational fear of shirring from this moment on. Thank you! I have to choose one favourite! So tough, Kona has such great color and I've always wanted to try some out. My favourites are Papaya, Cyan and Cactus. I only get to pick one favourite? But I love them all.... if I'm forced to choose it woulb be cyan. Hi thanks fro this great give away ... I love the kona solids & can't get enough . I have used School Bus in a baby quilt & just love it !!! What color catches my eyes changes from day to day...but I have to say, I *love* that cyan!!! It just so rich, deep, and vibrant!!! Thanks for the giveaway! Kona solids are so lovely to work with - a great giveaway! 2 faves- cyan and cactus!! My favorite - Robins Egg blue - so pretty! My favorite is celery - but i love all those fat quarters stacked up together. They remind me of rainbow brite!! My favorite is school bus, I think, but I love seeing them all stacked up in your photo. 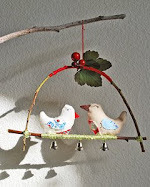 I love love love the robin egg.... very springy. I like the Tomato! I was just introduced to Kona Cottons a couple of weeks ago. So I would love to win some! Thanks for the chance! Its so hard to choose! I love the robin egg! Gorgeous fabrics! Hard to choose just one, but I think petunia, no cactus, no, Cyan.....I think I like them all! I love Kona solids! I have been indulging in a very lately, actually. Today my favorite color is papaya. And yes, Coach - get him off of there! I have to say, though, I was so, SO glad they blindsided Tyson. What a nasty, mean man he is. I am caught between cactus or robyn's egg blue. Lovely colors. I'm in love with Papaya..so bright and cheery! Love the Cactus!! And I hope Coach goes home too.. he's sneaky. So hard to choose but I adore the Robin Egg Blue...so pretty. Definitely papaya and cyan together! I love the tomato too! Very hard to choose ... all the colors are beautiful! Cyan is probably my favorite! P.S. Coach! Ugh! He has to go! Cactus is gorgeous and so is cyan! Your prices are great for those by the way. I'm always looking for shades of green. http://store.phatfabric.com/roeggkoco.html Robin's egg blue but it was very hard to choose! Thank you for this chance to win! Oh, that cyan is just GORGEOUS. Thanks for the chance! Wow! I can't decide between the Papaya or the Robin Egg. And those two colors would look so cute together in a little boys' outfit! okay, I know they have some really vibrant and gorgeous colors but my favorite is still snow, because it can go with everything else! Papaya for sure! Great giveaway!! What a ridiculously wonderful predicament! How to choose?? Gonna say, "Cactus." Just beautiful. Definitely Cyan! Love that blue. And Coach hands down--when he watches the show will he see how absurd he is? Does he know that dragons aren't real? Thanks for the chance! Robins egg blue of course. And Coach, he has to go. If he says "I am the dragon slayer" or "I cut the head off the dragon" one more time i might just scream! I love them all...so vibrant! Since I have to pick one, I'll go with papaya. I've got a thing for orange lately! Oh yum, what beautiful colors Kona gives us. Celery would be my first choice I think, since I have a "quiet" piece in mind; but Papaya is just gorgeous too! They are all so beautiful, but my first choice is Celery (with Tomato a close second). Good afternoon. My favorite is Petunia. I can't keep my eyes off School Bus! I don't know why, but I'm drawn to it! LOVE the cactus, although robin egg is a close second. Heck, I like them all! They are all gorgeous, but my favorites are cyan and school bus! Classic favorite is Kona Snow...but since that's not in my list of choices, I'll pick Cyan! Thanks for a great giveaway! I can't decide between cyan and cactus. Love the colors. Thanks for being generous! Such fun names! I am loving Kona cottons lately too! The lemon is so pretty and fresh. I want to make a "damn she looks good" dress out of papaya. I like petunia, but I really like all the Kona solids!! Love the lemon! I've been getting into yellow lately. It's hard to decide, but I think I like school bus the most. It's so bright and cheery. Oh fer crying out loud. I can't even decide on a favorite solid color. I'm really partial to papaya and cyan. Love the papaya so bright! Well since RED is my favorite color of all time I would have to say TOMATO of the KONA colors. They are ALL so lovely! I can just see the tomato and the robin's egg together. Or the papaya and the cactus. WOW! I'd have to say Celery and of course, Crazy Coach needs the boot! Why does everyone pick on Sierra? Seriously.. They're all so yummy... I can't just choose one! I like the lemon, robin egg and cactus colors the best. Definitely School Bus! I love orange with a vintage gray--blue! Cactus! I love a good yellow green. I can't decide between the petunia and the robin's egg. Tough choice, but I'm drawn most to the cyan. Fabulous giveaway - thanks! Robin egg! Love it. They are all super nice colors though! Thanks! School Bus - definitely school bus!! I LOVE that BRIGHT orange! PAPAYA! I just love orange! I love Robin egg:), very elegant color - reminds me Tiffany! I love them all but I think papaya is my favorite! Cyan is my fav today. I've seen that blue used a lot recently. Seems to be an up and coming color! That's a hard one! At first I thought Robin Egg, but I'm going with Papaya. I'm loving orange more and more. My favorite is the Cyan. It's a color that looks awesome on me, so it's hard not to like it. Cactus today (although that will change tomorrow). Papaya.. I am growing to appreciate orange more and more. I have an orange fabric pile that is growing, and waiting to become some great orange-themed quilt. Celery. It seems like an interesting neutral to play with. oooh, that's tough. I think papaya is my favorite though. I really like the Tomato and Papaya! You can also add Shirring to my list of sewing phobias! #1 on that list would be zippers! p.s. off the subject but do you have any tips on what questions to ask when wanting to hire a personal trainer? My vote goes to Cactus, but they are all fantastic!!! I think it has to be Robin's Egg for me. But if I win (crossing my fingers and toes) I would have to choose the fat quarters because I want all the colours!! They are all so inspiring but my top choice would be the Robin's Egg. My oldest son's name is Blue because it is my favourite colour. Wow, they're all so vibrant and beautiful, how can I pick just one? I'd say Celery as my favorite, but I'd love to have fat quarters of them all! Lemon! I've been trying to match the yellow/gold/mustard fabric used in a dress my mother wore as a child circa 1929... Kona shades are appealing, but I'm not sure lemon is the purrrfect match... have ordered 3 separate yards of fabric so far with no match... Kona Canary was too bright... so maybe Lemon is closer??? I'd love to WIN some yummy Lemon! I would love me some of that robin egg! So pretty! Upon comparing colors shown in the fat quarters, the golden yellow just above the lime on the bottom and below the orange... is that Lemon or Papaya? Maybe that one is a closer match to my mom's dress fabric... oo! OO! THAT's the one! Whatever that color name is... that's THE ONE! ooh, colors. what a fun way to not think about my school assignments! I would have to choose cyan, but i think all of them are great! thanks jamie! For me it would have to be the school bus 'cause I'm currently obsessed with orange! Hey thank you very much for include us in other parts of the world. Here quilting is almost unknow, so the giveaways are my only way to get those fabrics. I am finding myself drawn to cyan, with tomato following closely behind! Tomato all the way -- that is so vibrant! OOO I like Cyan! Reminds me of some of the beautiful colors in Greece. it's hard to pick, but i like School Bus the best! I'm choosing Lemon. So cheery and bright...perfect for summer sewing projects!